Vehicle & Vessel Applications - Shenzhen Daceen Technology Co., Ltd. It is the Tested Verification History list in Vehicle & Vessel Industry. From 1999/Oct, Many cases in Cars/Trucks/Ships startup batteries and stocked batteries were proved effectiveness of Lead Acid battery desulfated protection. 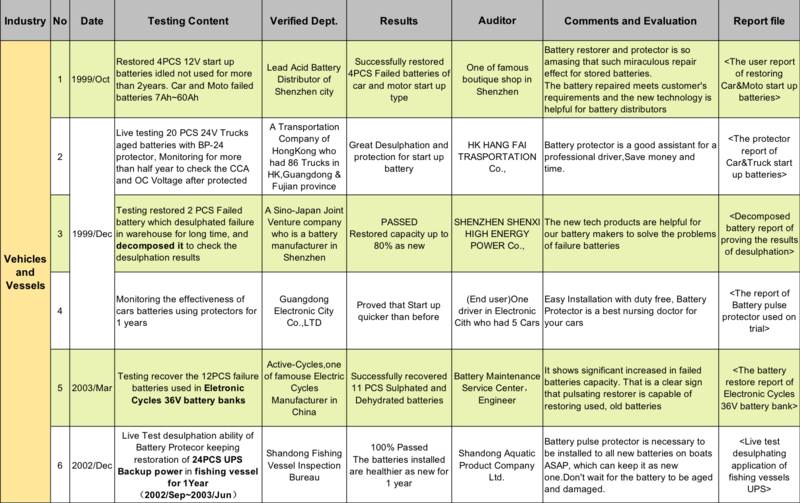 Confirmed the validity and effectiveness of the battery desulfation and life extension.